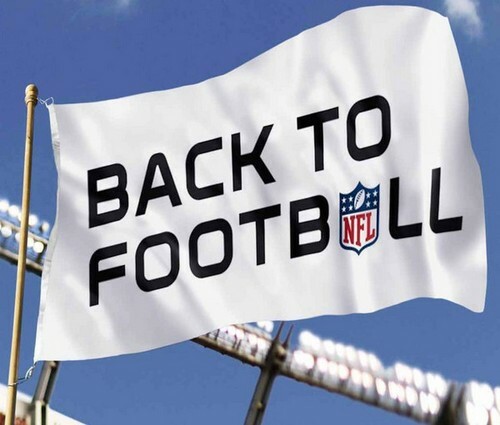 Nothing quite like it, the opening week of the new NFL season. Fortunately the lockout did not interfere with the 2011 NFL season at all and we are at this point. Here is the inaugural edition of my 2011 NFL week-by-week picks, which I will pick every game of every week and track how I did. Here we go with the 2011 NFL season and my week 1 predictions. The last two Super Bowl champions face off in the season opening showcase. Two of the game's elite quarterbacks will be on centerstage in Aaron Rodgers for the Pack and Drew Brees for the Saints. I think this is a very even matchup between these teams that both look like Super Bowl contenders but I have to give the Packers the edge because Lambeau Field will be electric on Thursday night. The Lions are everybody's chic team to make the playoffs this year but this Buccaneers club is legit too. I think we will see an exciting matchup between two talented quarterbacks in Matt Stafford for Detroit and Josh Freeman for Tampa but I think the difference will be Tampa's superior rushing attack and Detroit's awful secondary, which Freeman should have a field day with. I liked what the Rams did this offseason and I expect them to build off their surprising 2010 this season. However, this Eagles team is absolutely loaded after they dominated in the offseason by making wise moves on both sides of the ball. The Eagles' cornerback troika of Nnamdi Asomugha, Asante Samuel and Dominique Rodgers-Cromartie will shut down Sam Bradford's subpar receiving corps and make it hard for him to find windows to throw into. You know if I didn't think the Falcons would be good this year I would not have picked them to win the Super Bowl. I love what they did in the offseason, most notably their making Matt Ryan the focus of the offense rather than Michael Turner, who is steadily declining. However, I think this will be a good game because this Bears team is solid as well. I think the difference though will be the aforementioned Ryan as I see him leading a game winning drive at the end of the game. These two Ohio clubs are going in opposite directions. The Browns look to have some hope now with new head coach Pat Shurmur and quarterback Colt McCoy. The Bengals are floundering yet again, however, and the future of the team and likely starting quarterback, second round pick Andy Dalton, has been brutal in the preseason and running back Cedric Benson is currently in jail, but could be back for this game. The Bengals will be tripping over their own feet in this one and the Browns will eagerly take advantage. The Chiefs did win the AFC West last year but these teams are pretty equal. Matt Cassel is not very good and his mediocrity will be exposed without having Charlie Weis as his offensive coordinator. He does have a tremendous back in Jamaal Charles which is of benefit because the Bills run defense was pitiful last year, although they should be improved after the selection of Marcel Dareus. Now with Cassel looking like he may be out against Buffalo I'm going with the Bills because I have no faith in Tyler Palko. I'm not a fan of either club this season. The Titans could have a decent offense with QB Matt Hasselbeck and star back Chris Johnson, who is now happy after getting a new contract, but their defense took some hits along the defensive line. The Jaguars' defense could be all right if the secondary improves but their offense is mediocre because Maurice Jones-Drew has bad knees, David Garrard is consistently inconsistent and the receiving unit is really bad. I think that Johnson will have a big game and be the difference. Will Peyton Manning start week 1 or will his consecutive start streak come to an end? We have not seen Manning all preseason after his offseason neck surgery and the team had enough concerns to sign Kerry Collins as insurance. We may not know until kickoff. If he can't go, this Colts team takes an enormous hit. If he were to go, I'd still go with the Texans. The Texans' offense, led by Matt Schaub, Arian Foster, and Andre Johnson, is awesome and their defense made a lot of improvements in the offseason, most important signing cornerback Jonathan Joseph. Joe Flacco has been impressive in his NFL career thus far but he has been unable to beat Ben Roethlisberger, going 0-6 against him in his career thus far. Having a poor receiving unit does not help but Ray Rice does as well as one of the league's top defenses. The Steelers, of course, are known for defense and their running game and Big Ben is one of the best quarterbacks in football. But I think this will be the first time that he loses to Flacco. Cam Newton is the future of the Panthers and he has flashed some potential in the preseason but he still looks raw. He will be under center so expect a healthy dose of running game from Carolina to get Newton acclimated more with the pro game. The Cardinals are an underrated ballclub and they made a terrific move in bringing in Kevin Kolb, who finally stops the revolving door at quarterback in Glendale since Kurt Warner retired. Look for him to find Larry Fitzgerald early and often, especially with the questions at running back. Ron Rivera will have the Panthers ready to play and play hard but Arizona is clearly the better team. Both of these teams are not going to be good at all, most notably when you look at the starting quarterbacks for both teams (Tarvaris Jackson in Seattle, Alex Smith in San Francisco). The Seahawks did improve their receiving unit with Sidney Rice and tight end Zach Miller but their quarterback is not good to get the ball to them effectively. The 49ers have a solid receiving unit but Smith is just awful. I give the advantage to the 49ers for two reasons, Jim Harbaugh is a hell of a coach and the Seahawks are an awful road team. The Chargers have been prone to start off the season slowly under the inept Norv Turner and thus this game will be closer than you might think it would. San Diego boasts Philip Rivers and a now healthy and complete receiving unit but the Vikings will look to control the clock by giving the Bolts defense a healthy diet of Adrian Peterson but Donovan McNabb at this point in his career cannot keep up with a guy like Rivers, who will help San Diego pull away late. There really is not much else to say about the Washington Redskins, they will be awful this year. If the team really expects to get something out of either Rex Grossman or John Beck they are seriously mistaken. The Giants will have no problems getting by this downtrodden club. Did this Jets team really improve during the offseason? I mean they made some solid moves but are they really better than they were a year ago? I'm not so certain. Mark Sanchez should find a lot of success against the mediocre Cowboys secondary but I think that the Cowboys and Tony Romo are going to come out and prove that they can play to the level that people thought they would a year ago before Wade Phillips was rightfully fired. I'm calling an upset right here. The Patriots look locked and loaded for another strong regular season and as long as Tom Brady is upright and healthy all year, they should be one of the best teams in football. The Dolphins however will be bad, for two main reasons, Chad Henne is awful and Tony Sparano has very little job security after Stephen Ross got left at the alter by Jim Harbaugh. I'm expecting this Dolphins team to really struggle, hence why the Patriots are my Lock of the Week. This Raiders team will not be as good as they were a year ago after the devastating departure of Nnamdi Asomugha to the Eagles, which really hurts their defense. It won't be that much of a problem against a crappy team with a mediocre quarterback in the Broncos with Kyle Orton. Expect Darren McFadden to have another awesome performance in the Mile High City.